Bayfield County Wisconsin, with its 371 lakes, is the ultimate boater’s paradise. It only makes sense to have your own boat to make the most of the region’s vast expanses of calm, blue waters and sprawling forested beaches. As a first time buyer, there are several considerations to make to ensure a satisfying purchase and worthwhile investment. We at Windseeker Realty LLC are boat enthusiasts ourselves, so allow us to share some tips. To fast-track the shopping process, it helps to have an idea of what type of boat to buy. Decide first what type of boat you need using this illustrated, engaging guide and figure out if you’d like to buy a brand new or used boat. Unlike other vehicles, boats have specialized features for each activity. So it’s crucial that you choose a boat that best fits your lifestyle and needs. In terms of material, consider aluminum or fiberglass models as they last longer and don’t rot the way other materials do. Now that you’ve narrowed down your options, explore listings online, attend boat shows, and compare as many dealers as you can. Or, if you know any local dealers that you can trust, head down to their marina and insist on a trial to make sure the boat meets your expectations. Buying from local dealers can also save you money up front, so explore that option first before anything else. If you need more information, Boats.com offers a wealth of resources and tips on buying a boat. Now that we’ve gotten that out of the way, let’s move on to the more crucial aspects of buying a boat. Keeping it in top shape involves additional expenses in the form of fuel payments, storage, and maintenance. You will also need to purchase insurance, obtain a license, and create a plan to prepare your boat for possible natural calamities. Consult with other boaters in your neighborhood to get more information on the total cost of boat ownership. While there are many other variables to consider, using online calculators will give you an idea of how much you need to give to maximize your boating experience. Before signing the deal, you’ll need one more perspective: the pre-purchase report. 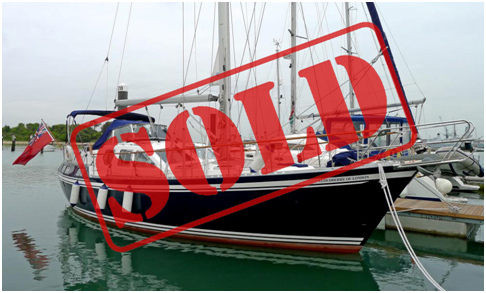 Make arrangements with your dealer to conduct a survey, especially if you’re buying a big boat or a used one. A licensed surveyor will then give you a detailed report of the condition of your boat, giving you more insight if the purchase is worth it. It adds time and expense, but it’s the best way to determine if your future boat is worthy of the water. Your insurance carrier may also require a copy of the survey to determine which policy is right for you. You may also want to take boaters education courses first before signing anything. Although buying a boat can be a costly, time-consuming task, it can be an excellent way to enhance your lifestyle. The best tip here is to be realistic and give it plenty of time and thought. In the meantime, you can always rent a cabin cruiser or sailboat from a local marina until you’re sure that you want to own a boat.